Shower and shave (women) daily, washing twice with a mild natural soap like the Tea Tree Mint soap at Trader Joes (2 bars for under $2). Don’t wear a top twice between washes if there was any odor when you took it off. Eat a healthful diet based on organic vegetables, organic grassfed meats, eggs, dairy, and wild fish/oil, and some organic fruits, beans, and whole grains. Avoid all foods fried in vegetable oils; eat only organic cold pressed vegetable oils without heating (salad dressing). Your body detoxes all the time, and changing your diet to the above will greatly speed up this process. However, you may want to follow a specific cleansing/detox program to give yourself a greater jump start. I noticed when treating/cleansing/healing from candida that my sweat had a mildew-like smell (gross, I know). When I did chelation to remove systemic mercury, my sweat would change between smelling like sulfur and smelling like cigarette smoke. I can’t comment here on all the cleanses I’ve tried, but finding a good Naturopathic Doctor would be a great place to begin. FAR Infrared Dry Heat Saunas are therapeutic for nearly any health condition except pregnancy, and the excessive sweating they induce is detoxifying and helps clear the sweat glands of odors. Sweating through exercise is another way to detox through sweating. Any kind of rash in the armpits can harbor bacteria growth. Treat your skin kindly, and avoid chafing. Avoid all chemical exposures, specifically medications/pain killers. I’ve also learned why deodorant is one of the most important body care products to change to non-toxic. Smeared onto freshly shaved (for women) armpits, where just below the skin lie the second largest grouping of lymph-nodes in the body, conventional deodorant is a toxic blend of glycols, petroleum products, parabens, aluminum (for antiperspirant), and synthetic fragrance. To pick on two of these bad boys: parabens have been found in 89% of breast tumors, and aluminum has been indicated in Alzheimer’s disease. Already in 2003 when I asked my traditional Ob-Gyn about antiperspirant, she said that the studies showed a strong link to breast cancer, and she did not recommend it’s use. Crystal/Salt Stick There are a couple brands for this type of deodorant. Feels: different to wet it and put that in an armpit, but I got used to it. However, after it dried, there was a fine salt layer on my skin, similar to after swimming in salt water. I have EXTREMELY sensitive skin, so this caused some chafing through the day. Toxicity: I thought it wasn’t toxic when we tried it, but then found out that the “natural salt” used is Ammonium Alum, other names for which are ALUMINUM AMMONIUM DISULFATE; ALUMINUM AMMONIUM DISULFATE DODECAHYDRATE; and ALUMINUM AMMONIUM SULFATE; this shows as an extremely low hazard level on cosmeticsdatabase.com BUT with a 94% data gap: I think this means they don’t have evidence yet for this ingredient. But to me, aluminum of any form shouldn’t be on or in my body. So we don’t use this anymore. Herbal Solid Stick Deodorants I’m grouping these together, as I can’t say that I found them to be much different than each other. Look for one without Propylene Glycol (antifreeze) and parabens, the other ingredients are usually herbs or essential oils that are mildly antibacterial or fragrant. The best of these that I’ve found is by Alba Botanica in lavender, it also comes in aloe unscented. Works: 3-5 The Alba one shown here works about as a 5 for me, however, I’ve heard that others are very happy with this type of deodorant. Feels: Somewhat sticky to me for the first hour or so, then no feeling, unless I sweat a good deal, then it feels slippery. Toxicity: As long as these are made without Propylene Glycol, aluminum, and parabens, they are a very low toxicity concern. Herbal Roll-On Deodorants I’ve tried several of these, as shown here. Avalon used to make one in lavender, which they have discontinued in favor of spray on deodorants (shown), and I thought that worked best of the roll-ons I’ve tried. I have not tried the spray, but it seems promising. Works: 5-7 The lavender roll on worked about as a 7. Feels: Wet/slimy at first, dries to no feeling. Not as sticky as the solids if I sweat later in the day. Toxicity: Read the ingredients, but these are usually a very low toxicity concern, if made with essential oils, glycerin, and no parabens. 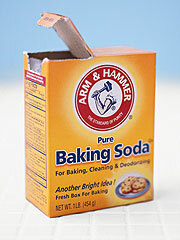 Baking Soda Some people have found this old fashioned remedy to work well for them. It is drying, anti-bacterial, and odor absorbing. Powder onto freshly showered/dried skin. If this seems to work well for you, but you would like an easier way to apply it, check out the recipe adding coconut oil on PassionateHomemaking. Works: 7, however, a downside can be white rubbing onto dark clothing. Feels: I have found, with my ultra sensitive skin, that soda causes chafing, initiating a rash. However, others do well with this. Essential Oil of Lavender Yes, just a few drops of the straight oil, rubbed with fingertips into the armpit. 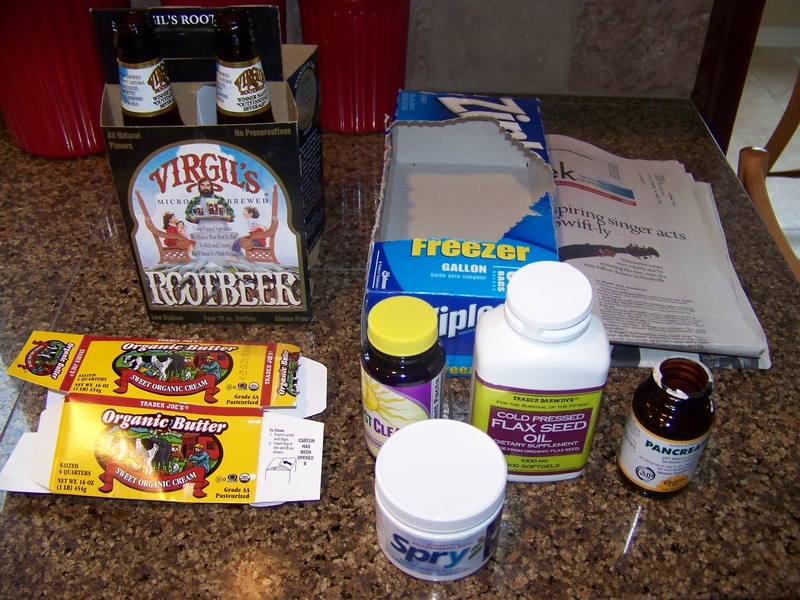 I came upon this solution when I needed something to use while I healed a chafing rash. It is mildly anti-bacterial, and I had noticed that many of the deodorants which worked better for me had this in them. Also, lavender is very soothing and healing to skin, so it helped with the rash healing. Of course, the fragrance is quite potent in the pure oil, so not everyone would desire to use this, and I don’t on a daily basis. Whether the oil is covering/blending with oil based odor, or just preventing it, I can not tell. Feels: Warm when applied, dries to no feeling. 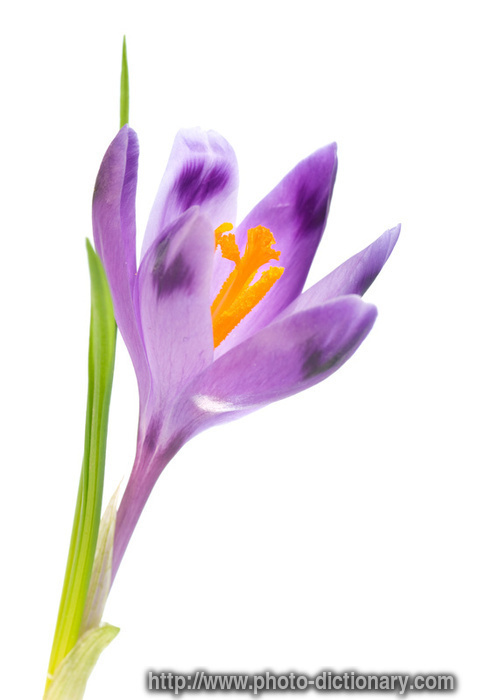 Toxicity: I am not aware of any health condition which is contraindicated in lavender oil use. In general, essential oils are quite strong, and should be used with caution. Toxicity concerns would be quite low for this product if you choose an organic pure essential oil which is not extracted or extended with chemicals. Dentarome Plus, from Young Living This is what I use on a daily basis, and feel that it works better than any natural or conventional deodorant I’ve tried. It is actually toothpaste, but the blend of essential oils, glycerin, and baking soda is a strong natural anti-bacterial and odor fighter. Young Living evidently sells deodorant, however the reports I’ve heard is that they don’t work so well (likely along the lines of the other reviews I have here). To apply: squeeze a small pea sized amount onto finger, distribute between fingertips of both hands, apply thin layer to freshly washed/dried armpit area. Feels: minty, even hot when applied, dries to no feeling, and no residue rubbing onto clothing. At times when I have developed a chafing rash, I must discontinue using this as the soda gives enough friction to inhibit my rash from healing. One tube has lasted me almost 2 years, but next time I order, I plan to get the original Dentarome as well as this Plus version. The original doesn’t have the thymol and eugenol oils, which I think is what make it hot when applied; if it doesn’t work as well, I’ll just use it as toothpaste! Toxicity: Young Living is a reputable company, so there is very low chemical/contamination concern for this product, however some of the essential oils are contraindicated during pregnancy. I have used this successfully during my last and current pregnancies, as I don’t feel that I am taking this in therapeutic amounts. However, you must make this decision for yourself under the advice of your doctor. One of my goals in 2010 is to make healthy living a habit, one step at a time. Join me as I post Healthy Habit Challenges each month this year in the following categories: Household Chemical Avoidance, Diet, Body Care, and Environment. Included in italics are ways to take it to the next level, if you’ve already made a clean green start. 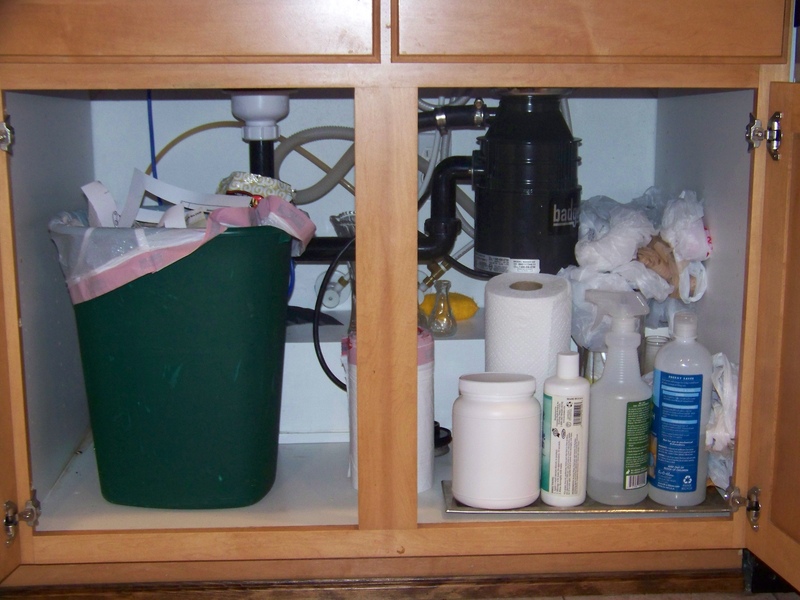 Household Chemical Avoidance: Remove the most dangerous plasticware from your kitchen; water bottles should be either glass or stainless inside. Learn which plastics are less of a concern, and how to treat them properly in my article Plastics: the Numbers Game. Next level: begin to collect better containers for food storage, such as glass. 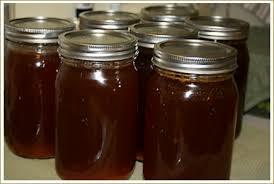 Canning jars are easily obtained, and fit well on pantry shelves and in the fridge. Diet: Boost your immune system, heal your gut, and build your blood and bones with homemade bone broth. Read about my easy crock pot method for poultry and beef stocks in Bone Broth: Body Builder and related articles. Then treat your family with steaming bowls of French Onion Soup. Next level: research a local source for grass-fed beef; you will probably need to get in touch directly with the farmer, and coordinate the splitting of a half or quarter beef with several friends. The webite localharvest.org is a great place to search for a local farm, or contact your local chapter of the Weston A Price Foundation. Body Care: Replace your deodorant with a non-toxic version. Read all my product reviews, and why this is one of the most important products for you to replace in Deodorant: Love-Hate Relationship. Next level: replace shower soap with a natural bar, check to see if your razor has a “lotion strip” with questionable ingredients, and suggest a better deodorant for your spouse. You can check ingredient lists against chemicals to avoid listed in my Consumer Wallet Guides (print, clip, and keep in your wallet for easy reference). Environment: Rethink “Reduce, Reuse, Recycle” in the article Thinking Like Grandma. 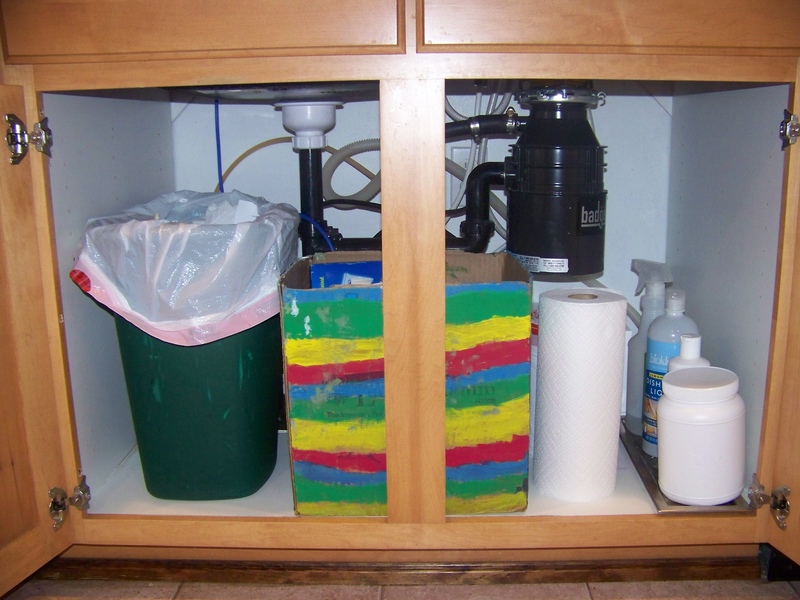 Then make kitchen recycling a habit by Creating a Recycle Center like I did this month. Next level: in addition to recycling rather than throwing away, think of ways to Reduce and Reuse in your home. Leave a comment on the Thinking Like Grandma article with your ideas! Mmm . . . what could be more comforting on a dreary winter evening than a bowl of cheese-encrusted French Onion Soup? Made with a base of homemade Beef Bone Broth, it’s also a immune boosting, gut healing, blood and bone building elixir. The addition of steak is optional: I landed on it as a great way to use day-old steak, and my husband loves finding hearty meat in his soup! Melt butter in a large heavy enameled dutch oven. Add sliced onions and shallots, stirring to coat with the butter. Cook uncovered over Medium-High heat for 15 minutes, stirring every 3 minutes with a wooden spoon, or until onions have turned a dark brown as they caramelize. Cover and cook another 25 minutes on Medium-Low, stirring occasionally. Onions will shrink during cooking. Add broth, water, thyme, bay leaves, pepper, meat if desired, and half of salt. Bring to boil, reduce to simmer for 30 minutes. Remove bay leaves, and add salt to taste (see note). This soup has a lot of sweetness from the carmelized onions, so I like it best when I’ve salted just enough for my tongue to tell me “savory” rather than “sweet/bland”. (Since the homemade broth isn’t pre-salted, you may be surprised by the amount of salt it will need.) I can not overemphasize salting correctly, as this brings out the delicate onion/shallot flavor, bringing it from frumpy to fabulous. Set oven to Broil. Toast bread, unless it is the ends, then slice into 1 inch strips. Ladle soup into oven-proof bowls, and top with toast slices, then top with sliced cheese. Place bowls on top rack of oven and leave door open slightly so you can watch them; they are ready when cheese melts and bubbles, with light brown edges. Serve straight from the oven to the table; warn your family of the hot bows and set potholders at each spot to protect your table top. Note: different salts have differing amounts of saltiness. Unrefined salt (usually grey, red, or another color because of the minerals still in it) is less salty than refined salt, which has additives (including aluminum -yuck!) for dryness and easy pouring which give it a harsh or bitter flavor and dextrose sugar to cover this flavor. Unrefined salt is the better choice, but you will need to adjust the amount you add according to taste. If the salt you use is the moist coarse kind (such as the wonderful Course Sea Salt from Trader Joes), wait a few minutes after adding salt to the soup pot before tasting. Since it has large salt crystals, it takes a little longer for it to dissolve; it would be easy to oversalt it in haste. Plastics are really convenient, especially in the kitchen. However, there has recently been a lot of question about how safe it is for them to be in contact with so much of our food. The nation of Canada recently banned the use of PVC in baby bottles/cups, making it the first nation to officially acknowledge the growing body of evidence that shows plastics are making their way into our bodies. Human hormones are nearly all manufactured (in our bodies) using fats, so it should come as no surprise that the addition of synthetic oils, such as plastic residues, can interfere with normal hormone processes. We would be wise to avoid these toxins much as possible. Don’t place in the dishwasher, rather hand wash with warm water and mild dish soap. Limit exposure to wet and greasy foods. Remember, plastic is made from oil (petroleum), so food grease becomes like a solvent for it, with the residue entering the food. Refrigerate/freeze wet or greasy foods in glass containers, rather than plastic bags. When using plastic wrap over a dish, don’t allow the wrap to touch the food inside. If you can “smell” plastic, you are actually smelling it off-gas. Avoid using actively off-gassing plastic with food, even dry foods. Don’t store drinking water in a plastic bottle. Choose stainless steel or glass for your sports bottle. The safest material for food storage is glass. Virtually non-leaching, it has stood the test of time. Fortunately, it is readily available, and inexpensive. Canning jars are an easy, flexible solution for pantry, fridge, or freezer. There are also several lines of glass products made specifically for food storage, some with snapping plastic lids (choose from the “safer” list on the lids, and avoid letting the food touch the lid). Purchasing food canned in glass jars, rather than tin cans, is the best choice when available. Although tin is not considered toxic to humans (it’s a trace mineral we actually need in small amounts), most people in developed countries have elevated levels of this mineral, likely from tin cans. Of even greater concerns is the plastics used to line/seal tin cans; whether they are on the “safer” or “to avoid” lists below, it is likely that there was heat involved in the processing and the food has absorbed some amount of plastic. Select safe plastics that use polyethylene (#1, #2, and #4) and polypropylene (#5), which require the use of less toxic additives. They also are non-chlorinated. Where do you find these numbers? Turn the item over and look for the symbol. Avoid choosing products that use polyvinyl chloride (#3), polystyrene (#6), and polycarbonate (#7) which often are found in baby bottles or sippy cups. What to do with these unsafe plastics? If the containers are useful for storage elsewhere (garden shed, etc.) consider reuse, otherwise recycle before they can be accidentally returned to use in the kitchen (baby cups). Of all the baby care products which I believe commonly give the most toxic exposure to babies, disposable wipes top the list (it’s a close contest with lotion/chemical sunscreen). I looked into “natural” wipes, and these are an OK option if you can afford the price. I still buy Earth’s Best wipes or Seventh Generation wipes from luckyvitamin.com for keeping in the diaper bag. But I felt that these would be too costly for daily use, and on the raving recommendation from a friend, I plunged into cloth wipes. Actually, I plunged into cloth diapering, but that is the subject for another post. Even with a paper diaper, cloth wipes are a huge step away from chemicals for your baby. And it’s really simple. You’ll need to obtain the wipes themselves. I purchased organic cotton flannel wipes, which are just a piece of flannel with the edges serged. A friend made nearly the same thing by zig-zagging inside a pinking-sheared edge, cut from an old receiving blanket. That is far more economical than the $1 each which I paid. I have 12 of these, and they work better than any disposable wipe I’ve tried, including Huggies with their thick texture. I also have some polyester terry “baby washcloths” in my stash . . . I don’t think they work quite as well, but I already had them, so they are a fall back. My latest addition has been Kissaluvs Terry Wipes, which are amazing for messy diapers. The thick cotton terry loop really does clean up really, really well. I have 6 of these. The number you need on hand will depend on how many you use per change, and how often you do laundry. With roughly 24, and doing laundry every 2-3 days, I’ve never run out. Since you aren’t disposing of these wipes, you’ll need to launder them. If you plan to use cloth diapers, process them right along with them. If you are using paper diapers, then rinse poopy wipes out in a utility sink before adding them into the load with underwear. To keep things sanitary, I wash our family’s underwear separate from kitchen towels and napkins. The underwear load (which would include your wipes, and any other baby clothes which have succumbed to a wet-through or blow-out) should have an initial wash cycle in cold, with half the detergent amount. This is to wash out the fluids/solids still on the fabric. Then a full wash cycle in the hottest water your machine will set for, with half the amount of detergent, and a scoop of oxygen bleach for sanitation. Line dry in anti-bacterial sunshine, or in the dryer on hot. Homemade broth has become a lost tradition of good cooking, and good health. Bullion cubes, with their dubious list of ingredients (hydrolized fat, lots of salt, chicken “flavor”? ), and watered-down boxed broth, are in common use for instant flavor in soups and other recipes, but they boast none of the amazing health benefits of their predecessor, true bone broth. Centuries of chefs have prized a good stock (their term for broth) as the basis for soups, sauces, and glazes, and centuries of mothers and grandmothers have prized it as the best immune-boosting food for the sick and invalid. Chicken soup used to be known as the “Jewish penicillin” as it was standard treatment for the ill in the Jewish community. But bone broth is not just for the sick; it’s for building healthy bodies and strong bones. By slow cooking bones over several days, the mineral elements of the bones are leached into the broth and broken down for easy absorption by the human body. If the bones being cooked have cartilage attached to them, this is also broken down into easily absorbed gelatin, which directly nourishes the intestines, and then the joints of the body. Marrow inside the bones dissolves into the broth, providing nourishment for the immune system and building blood. And the good news is, bone broth is easy to make in a crock pot, and is made from ingredients which you are likely already just throwing away! Bone broth can be made from any bones: red meat, poultry, or fish. I have not made a fish version, but I plan to with the next “whole” fish I have (and then I’ll delve into oriental soup). Chicken and Beef broths are my staples, as these meats are the most common in my home (turkey broth only gets made once or twice a winter, when we have a holiday feast). Obviously, the more nutrient-dense the animal that you are cooking, the more nutrient-dense the food will be. So bones from organic free-range poulty, and organic grass fed beef/lamb or wild shot game will yield a better broth. Read my recipe for Poultry Broth, which is the basis for innumerable soups, or can be thickened with potato starch or wheat flour to substitute as “cream of chicken soup” in casseroles. Read my recipe for Beef/Game Broth, which is the basis for beef flavored soups, including my favorite, French Onion Soup, and can be used for sauces, glazes, and gravies. Plan to make chicken (or other poulty) broth immediately after roasting a whole bird. I like to roast a chicken for dinner, and as each person cuts the meat off their respective bones, they put the bones back into the roasting pan (casual family dinner). After dinner, remove the roasting pan to the kitchen, and remove all the remaining meat from the carcass. If it was properly roasted, the meat should be sliding off the bones. Refrigerate or freeze the meat separately as an addition to a future soup or casserole. Place the rest of the carcass and the drippings from the pan into a large crock pot. (Wait, aren’t those drippings just a bunch of fat? No, there’s a lot of good gelatin in there too, and don’t worry, you’ll have a chance to skim the fat off later.) Add enough purified water (3-5 qts) to cover the carcass by 1 inch (you may break up the rib cage to fit in better; a turkey carcass may need to have one half frozen for a second batch). Add 2 tsp. of apple cider vinegar; this acidifies the water and causes more leaching of minerals from the bones. Turn the crock pot on high. After an hour or two, when you notice that the water has heated thoroughly, turn down the crock pot to low, and let slow cook for 24-48 hours. 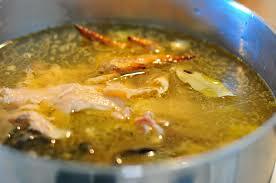 If you see skum form on the top of the broth during cooking, carefully skim away and discard. If you wish, you can add spare ends of vegetables during cooking. . . a carrot end here, extra chopped onions there. This will add richer flavor, but is unnecessary. When the broth is finished, you should be able to easily crush a chicken drumstick bone with a spoon. Remove chicken carcass with a slotted spoon, and discard. Place a sieve over a funnel fitted into a quart size glass canning jar. Ladle broth through sieve into jar, leaving about 1.5 inches at the top. Continue to fill additional jars until all broth is stored; cover and refrigerate overnight. In the morning, you will notice a hardened white layer at the top in each jar; this is fat, and may be removed with a spoon and discarded. As you remove it, you’ll notice that the broth under it is actually Jello-like in consistency. This is caused by the minerals and gelatin which are suspended in water. Freeze all the jars of broth which you will not use within the next 2 days. Defrost in the refrigerator 1 day prior to use. Poultry broth is the basis for innumerable soups, or can be thickened with potato starch or wheat flour to substitute as “cream of chicken soup” in casseroles. Update January 2013: For the last year I have been using a single lemon, halved as a substitute for the apple cider vinegar, with a more pleasing end flavor. Each year, we invest in a quarter of beef from a local ranch which humanely raises cattle on a grainless diet (grass fed). The butcher offers the bones to us, and I always say yes, as these “discards” are my little nutrient goldmine! The bones, all shank or knuckle/joint bones, are cut into 2-5 inch lengths and bundled in bags. Place one large, or two small, beef bones into a large crock pot. Fill with enough purified water to cover bones by 1 inch (3-5 qts?). Add 2 Tb. red wine (vinegar can be used, but I find that it fights the beef flavor); this acidifies the water and causes more leaching of minerals from the bones. Turn the crock pot on high. After an hour or two, when you notice that the water has heated thoroughly, turn down the crock pot to low, and let slow cook for 24-48 hours. 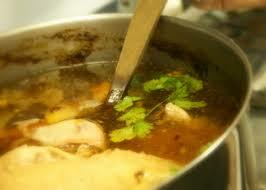 If you see skum form on the top of the broth during cooking, carefully skim away and discard. If the marrow of the bone is exposed from the bone cut, you will notice after a day that it has become soft. Scoop it from the bone, mash into the broth, and continue to cook it down. When the broth is finished, you should notice that the bones have seemed to shrink slightly in size, and that they appear quite porous as so much of their minerals have been leached into the broth. Remove bones with a slotted spoon, and discard. Place a sieve over a funnel fitted into a quart size glass canning jar. Ladle broth through sieve into jar, leaving about 1.5 inches at the top. Continue to fill additional jars until all broth is stored; cover and refrigerate overnight. In the morning, you will notice a hardened white layer at the top in each jar; this is fat, and may be removed with a spoon and discarded. As you remove it, you’ll notice that the broth under it is actually Jello-like in consistency. This is caused by the minerals and gelatin which are suspended in water. Beef broth is the basis for beef flavored soups, including my favorite, French Onion Soup, and can be used for sauces, glazes, and gravies.